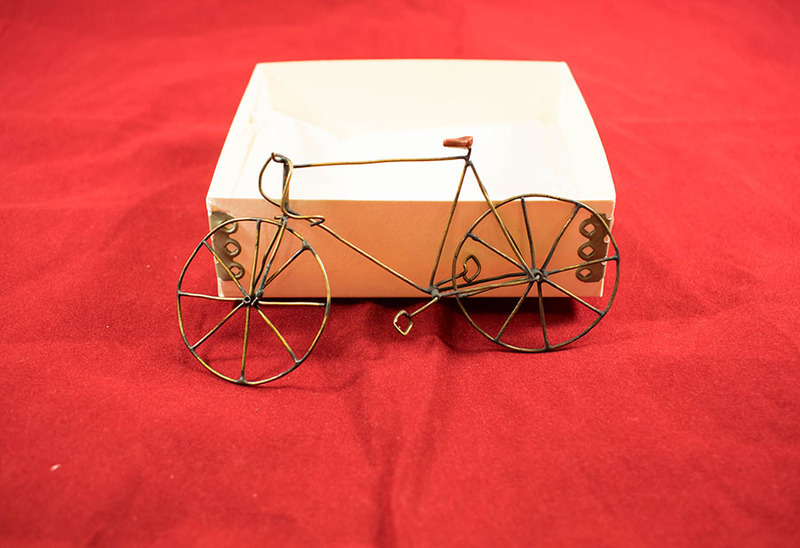 Model bicycle, dental wire, 20th century. This model bicycle was made by Professor T.C. White, a prominent member of the Dental Council here at the College in the 20th century. Thomas Cyril White (1911-1980), orthodontist, “Model Bicycle Made by T.C. White,” Heritage, accessed April 20, 2019, https://heritage.rcpsg.ac.uk/items/show/162. 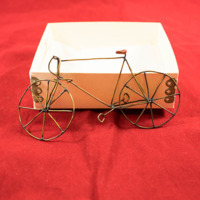 Description: Model bicycle, dental wire, 20th century. This model bicycle was made by Professor T.C. White, a prominent member of the Dental Council here at the College in the 20th century.